Did you know Standard German (Hoch Deutsch) is spoken by around 90 million native speakers, and other varieties of German have some 30 million. There are about 80 million people who speak German as a second language, and many others study it as a foreign language. German is not only the third most widely taught foreign language in both the US (after Spanish and French, respectively) but is ranked fifth in terms of annual publication of new books, with one tenth of all books (including e-books) in the world being published in the German language. So what you waiting for Learn German. To Learn German Quickly, download our easy to use app on your mobile device and you are ready to start learning. 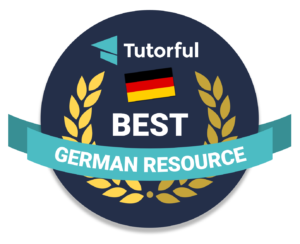 We have been rated as one of the best resource to learn German fluently. Do check out the article.